We Buy Houses In Vacaville, In Any Condition, With No Fees, No Repairs, And At A Fair, All-Cash Price, Now. See How Cyndie Buys Houses’ Process Works. If you want to sell your Vacaville house…We buy houses Vacaville and we’re ready to give you a fair all-cash offer. We Buy Houses in Vacaville, “As-Is”; No matter the property’s condition, we will buy it. We will Stop Foreclosure in Vacaville, make up back payments and buy your Vacaville house. We will provide convenient, flexible, personal service; always with the utmost integrity. There is no obligation or pressure to sell your home to us. If you want to sell your house fast in Vacaville... we’re ready to give you a fair cash offer. We can even GUARANTEE that offer in writing! We Buy Houses In Vacaville And Throughout California…It’s Never Been Easier To Sell Your House! 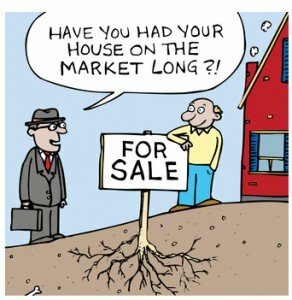 We know that selling your Vacaville house can be a tough decision. That’s why we buy Vacaville houses from sellers who need help and who don’t want the stress and financial hardship that a long, drawn out sale can bring. Traditional home sales mean you have to jump through a lot of hoops. You’ll need to work with a realtor to sell your Vacaville house. You’ll have to get it inspected by a home inspector to make sure there are no issues. If the inspector uncovers any problems with the home, you’ll probably have to pay for the repairs yourself, or give the buyer a discount on the sale price. You’ll also have tons of paperwork to go through. And if your house has cosmetic problems or isn’t in the best neighborhood, it could take weeks or months to even get an offer. That means you’ll still be paying your mortgage, paying taxes, and paying bills for a home you don’t even want! With Cyndie Buys Houses, all of these problems disappear. 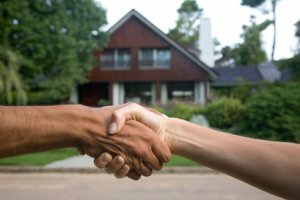 We buy Vacaville houses that have cosmetic or underlying problems that would keep them from selling with a realtor. In fact, the whole process can take as little as a week! And when you walk away, you’ll have cash in hand. What could be simpler than that? 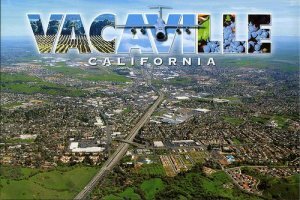 We Buy Houses in Vacaville and all over California. Find Out Why We’re Considered The Most Hassle-Free Way To Sell A House! 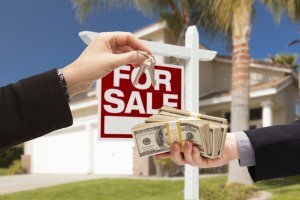 Do You Need To Sell Your House Fast In Vacaville? You’ve tried to sell your Vacaville house but have hit stumbling blocks. You probably even tried calling a real estate agent. Selling a house conventionally with a real estate agent is simply not for everyone. There can be many pitfalls when selling a house via an agent, including: having to clean up and repair the property so that it shows well, finding an agent who you trust and who can deliver on their promise (to sell your house quickly), signing a contract that binds you to an agent for a certain term, dealing with the piles of paperwork you have to sign, shuffling paperwork back and forth from buyer –> to agent –> to you… and back. We help property owners just like you, in all kinds of situations. From divorce, foreclosure, death of a family member, burdensome rental property, and all kinds of other situations. We buy houses in Vacaville and pay a fair cash price, fast. Sometimes, those who own property simply have lives that are too busy to take the time to do all of things that typically need to be done to prepare a house to sell on the market… if that describes you, just let us know about the property you’d like to be rid of and sell your house fast for cash. These are just a few of the most common problems we see. These situations can happen to anyone! No matter the situation, we respect you and will treat you with the dignity and respect you deserve (we aren’t here to judge…we’re here to make your life easier). If you’ve found yourself experiencing one of these challenges and you want it over fast, call Cyndie today! We can buy your Vacaville house fast and leave you with cash. With Cyndie Buys Houses, you can sell your house as-is. That means that we buy your Vacaville house right away, and you don’t have to change a thing! You can sell your Vacaville house without making any repairs, fees or without making any more payments on your mortgage or loans. You can sell your Vacaville house without working with a realtor. We’ll buy virtually any Vacaville home in seven days or less!